Helping investors from around the world generate wealth with the least amount of work. 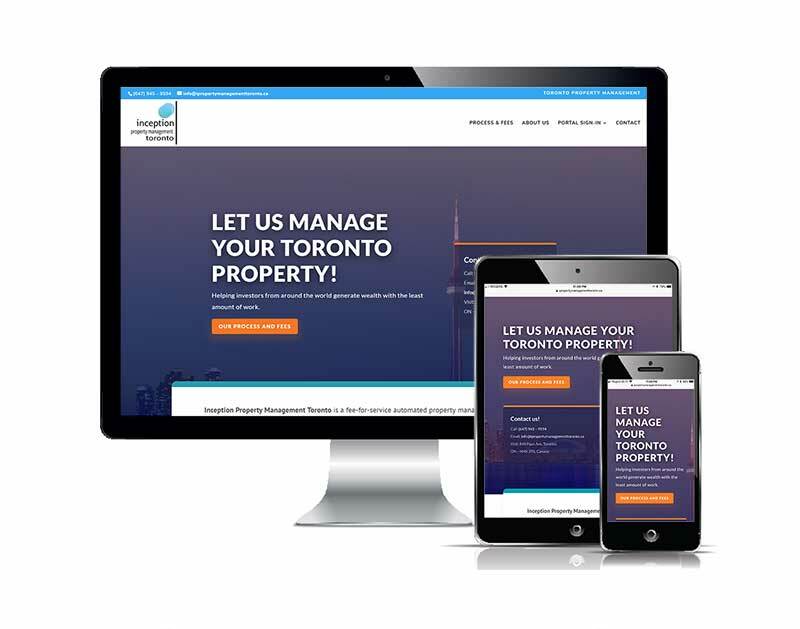 Inception Property Management Toronto is a fee-for-service automated property management company in Toronto, Canada. They employ the latest technologies in order to make sure their clients from all around the world investing in Toronto properties get the best prices with the least amount of work. This is the first web site for the new startup, who came to us looking for a small business website design. The client was looking for a small, brochure-ware type of website to support the marketing initiatives for their startup business. Power by our robust business hosting and website maintenance program, in addition to full domain name services, the client is enjoying an all-inclusive service for the long-run. Thank you for coming up with this vision! I will be honest with you. At first glance it was a deep sense of panic on my end. Because I can’t believe this is actually happening. Thanks again Al. Great job!